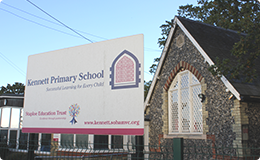 Kennett Primary is a small friendly village school which has been at the heart of the local community since 1865. Under the Education Act 2002 (section 175/157), schools must "make arrangements to safeguard and promote the welfare of children". Kennett Primary promises therefore to be alert to signs of abuse and neglect and will follow the Safeguarding Children Board procedures to ensure that children receive appropriate and effective support and protection. 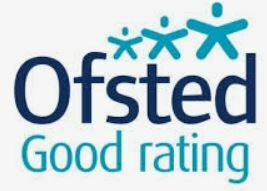 Our whole school ethos is one of encouraging success and building aspirations, preparing very child to to reach their full potential and be ready for their next stage in their education. We pride ourselves on being able to offer a rich, varied and inspiring curriculum which starts in our Foundation Stage Unit at age three, and continues through to age eleven. From here, most children transfer to Soham Village College. Our school 'visions and values' aim to provide a stimulating, supportive and challenging learning environment in which all learners are valued for the contributions they make. These are deeply rooted within our 'Kennett Cares' ethos, understanding that British Values are within everything that we do. We are able to offer a successful breakfast and after school club and a range of other extra curricula activities. Although a small site, it includes an activity area, wooded and naturally shaded play area with climbing equipment and in the summer we are able to enjoy the benefits of the local playing field. Our children in their early years and in key stage 1 also have their own outdoor learning areas.